Welcome to the Release Notes for Update 26! These notes where published on Thursday, June 18th. Introducing the Warlock Class! These Eldritch casters form pacts with powerful beings, and seek out rare and often forbidden knowledge. They deal large amounts of damage with their Eldritch Blast, and back that damage up with a variety of bluff, control, and utility abilities. Features three all-new Enhancement Trees! 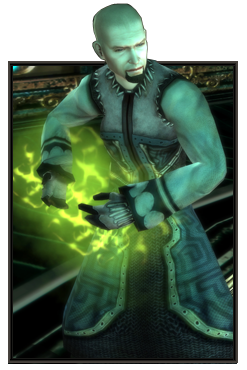 See what else is new to DDO with Update 26 in the DDO Store by clicking here! Many activated Barbarian enhancement abilities now break stealth that previously did not, such as Supreme Cleave. The description of Swashbuckler's Sword Dance ability now matches its existing functionality. The core enhancements in Paladin Knight of the Chalice no longer provide erroneous and undescribed additional damage. The Radiant Servant's Positive Energy Burst no longer requires a hard target to cast. Inhuman Deadliness: You gain +1 damage with melee and ranged attacks and +5 Universal Spell Power for each core ability you take in this tree. Inhuman Nature: You gain +25% Fortification and +4 Saving Throws versus Poison and Disease. No Worse Fate: You gain immunity to Fear. Your melee, ranged and Eldritch Blast attacks cause enemies to be Shaken for 6 seconds. This can occur up to once per 2 seconds. Inhuman Nature: You gain +25% Fortification and +4 Saving Throws versus Poison and Disease. Your Consume damage over time is increased by 2d10. Your Stricken damage is increased by 4d6. Eldritch Seeker: You gain +5% chance to critically hit with your spells and Eldritch Blast. Devour the Soul: Passive: +4 Charisma. Active: Necromantic Spell. You consume the soul of your targeted enemy, killing them instantly unless they make a Will saving throw with a DC of 18 + Warlock level + Charisma bonus. This ability works on undead, but not constructs and other creatures with no lifeforce. Some bosses may be immune. If the target survives then it loses 20 PRR and MRR for 6 seconds. Cooldown: 15 seconds. ​Consume: Ranged magical attack. Your magics consume bits of your opponent's form, disintegrating bits of them for 2d10 Chaotic damage every 2 seconds for a duration of 16 seconds. This damage scales with 150% Spell Power. The effect can stack up to 3 times. Your enemy is also marked with the Consumed trait. Cooldown 10 seconds. Subtle Spellcasting: Your attacks and spells generate 20%/30%/40% less hate than they normally would, making enemies less likely to attack you. Taint the Blood: Your Eldritch Blast, Melee and Ranged attacks reduce the Fortitude saving throw of the target by -1 for 6 seconds. The effect stacks up to 4 times. Daunting Presence: +1/+2/+3 Bluff, Haggle, and Diplomacy. Rank 3: +1 Will saves. Hungry for Destruction: You gain +1/+2/+3 Melee Power and Ranged Power, and +2/+4/+6 Universal Spellpower. ​Stricken: Ranged magical attack. You cause 4d6/8d6/12d6 bane damage and reduce the Healing Amplification of the opponent by 40/80/120 for 12 seconds. The reduction is negated by a Fortitude saving throw with a DC of 10/14/18 + Warlock level + the higher or Intelligence or Charisma Modifier. The damage scales with 150% Spell Power. Your enemy is also marked with the Strickened trait. Cooldown 10 seconds. Taint the Aura: Against targets marked by your Consume attack: Your melee, ranged and Eldritch Blast attacks reduce the Spell Resistance, PRR and MRR of the target by -2 for 10 seconds. The effect stacks up to 5 times. Feeding Frenzy: When you use Consume on an enemy the feeding increases your movement speed by 1% per Warlock level for 20 seconds. ​Dark Feeding: Multi-selector: Choose a magical attack with a cooldown of 16 seconds. Enemies can negate the ability score damage (but not your ability score gain) with a Will saving throw: DC of 18 + Character Level + Charisma Modifier. These effects do not stack with themselves. Your Flesh is Weak: Activate this ability to cause 1d8+2 Strength damage to your opponent for 20 seconds. You gain an Insight bonus of 1d8+2 Strength for 20 seconds. You Cannot Evade Me: Activate this ability to cause 1d8+2 Dexterity damage to your opponent for 20 seconds. You gain an Insight bonus of 1d8+2 Dexterity for 20 seconds. Your Will is Mine: Activate this ability to cause 1d8+2 Wisdom damage to your opponent for 20 seconds. You gain an Insight bonus of 1d8+2 Wisdom for 20 seconds. Food For Thought: Activate this ability to cause 1d8+2 Intelligence damage to your opponent for 20 seconds. You gain an Insight bonus of 1d8+2 Intelligence for 20 seconds. Blood Feast: Activate this ability to cause 1d8+2 Constitution damage to your opponent for 20 seconds. You gain an Insight bonus of 1d8+2 Constitution for 20 seconds. Strickened Soul: Against targets marked by your Stricken attack: Your Eldritch Blast, Melee and Ranged attacks reduce the target's Melee Power, Ranged Power and Spellpower by 20 for 6 seconds. Eldritch Cone: Toggle. Your Eldritch Blast now acts as a cone attack, but has Standard Cone AoE range. While active you have -1 die on Eldritch Blast damage and Pact damage, and this spell scales with 75% Spell power. SLA: Burning Blood. Cooldown 10 seconds. ​Greater Hunger: Your melee, ranged and Eldritch Blast attacks do 2d6 Chaos damage when striking an opponent marked by your Consume attack. Your Consume damage over time is increased by 2d10. Your Stricken damage is increased by 4d6. Strickened Form: Against targets marked by your Stricken attack: Your melee, ranged and Eldritch Blast attacks inflict Vulnerability. Vulnerability: You take 1% more damage for 3 seconds. This effect stacks up to 20 times, and loses one stack on expiration. Steal Lifeforce: Activated Attack: You feed on your victim's lifeforce, causing 4d6/8d6/12d6 of damage to your target and healing yourself for 4d6/8d6/12d6 points. This damage and healing scales with 150% Spell Power. Characters who are in undead form instead receive healing in the form of negative energy. Cooldown 20 seconds. Immortal Will: +1 to the DC of Enchantment, Illusion and Necromancy spells. ​Supreme Hunger: Your Consume damage over time is increased by 2d10. Your Stricken damage is increased by 4d6. Eldritch Wave: Activated Attack. Your create a cone of eldritch energy that strikes all opponents in the area with three consecutive Eldritch Blasts. The damage scales with 150% Spell Power. Cooldown 8 seconds. Feed on Magic: Attacking with melee, ranged,or Eldritch Blast gives a 10% chance to gain 10 temporary spell points +1 per Warlock level. Spell Tearing: You gain +3% chance to critically hit with your spells and Eldritch Blast. ​1 AP, class level 1: Tainted Spellcasting: Activate for 10 Depravity: +25 Universal Spell Power, +2 bonus to all Spell DCs. Lasts 20 seconds. 60 second cooldown. You gain 1 Depravity each time you damage enemies with Eldritch Blast or spells (except with Positive Energy). You can gain 1 Depravity every 6.5 seconds. Each additional trained Tainted Scholar Core enhancement reduces this cooldown by 1 second, to a minimum of 1.5 seconds. You can have up to 10 Depravity, which disappears on rest, death or entering public spaces. Passive: Each point spent in Tainted Scholar provides +0.75 Universal Spell Power. Featherfall is added to your known Warlock Spells at level 1. 5 AP, class level 3: Tainted Lore: +10% Spell Critical Damage. +1 Spell Penetration. (Spell Critical damage also applies to criticals with Eldritch Blast.) +10 maximum Depravity. Web is added to your known Warlock Spells at level 2. 10 AP, class level 6: Stanch: Activate for 7 Depravity: Gains temporary hitpoints equal to 50% of your maximum hitpoints. These last for 1 minute. You have -3% maximum hitpoints until you rest, which stacks up to 33 times. +10 maximum Depravity. Crushing Despair is added to your known Warlock Spells at level 3. 20 AP, class level 12: Tainted Lore: +20% Spell Critical Damage, +1 Spell Penetration. +10 maximum Depravity. Death Ward is added to your known Warlock Spells at level 4. Greater Heroism is added to your known Warlock Spells at level 5. 40 AP, class level 20: Heretical Lore: Your Eldritch Blast deals +1d6 damage. +30% Spell Critical Damage. +4 Charisma, +1 Spell Penetration. +10 maximum Depravity. Energy Drain is added to your known Warlock Spells at level 6. Feigned Health: When you cast spells on yourself or allies, you grant temporary hitpoints equal to (33%/66%/100%) of your Charisma. Strong Pact: Bonus Eldritch Blast damage from your Pact is increased by 1d4. This scales with spellpower, like all Eldritch Blast damage. Eldritch Focus: +1/2/3 Spellcraft and Concentration. Eldritch Chain: Eldritch Blast Shape: Toggle on to turn your automatic attack into a ranged magical bolt dealing Eldritch Blast damage, which then jumps to two more nearby enemies. While active you have -1 Eldritch Blast Pact damage die, and this spell scales with 110% Spell power. Stunning Blast: Activate for 6/4/2 Depravity: Attack one enemy with an Eldritch Blast that stuns your target for 12 seconds on a failed Fortitude saving throw vs. DC (10 + Warlock Level + Charisma Modifier.) This damage scales with 150% Spell Power. Wand and Scroll Mastery: +[25/50/75]% to the effectiveness of your wands, scrolls, and other items that cast spells, and +[1/2/3] to the DCs of your offensive wands. Efficient Heighten: Using the Heighten Spell Metamagic feat costs you 1/2 fewer spell points per Heightened level. Confusion: Activate for 3/2/1 Depravity: Target non-boss monster becomes Confused on a failed Will Saving throw. Confused monsters attack and are attacked by both monster characters and player characters. Enervating Shadow: Eldritch Blast Shape Stance: This Eldritch Blast auto-attack seeks out enemies, and inflicts a negative level 10% of the time. Bewitching Blast: Your Eldritch Blast has a 3/6/10% chance to Confuse non-boss monsters for 6 seconds. Confused monsters attack and are attacked by both monster characters and player characters. Eldritch Ball: Activate for 12/8/4 Depravity: Shoot a projectile at a distant enemy, exploding in an area, dealing Eldritch Blast damage and effects to nearby enemies. The damage scales with 150% Spell Power. Mass Confusion: Activate for 12/8/4 Depravity: A group of non-boss monsters each become Confused on a failed Will saving throw. Confused monsters attack and are attacked by both monster characters and player characters. Selector: Gain +2 to Spell DCs of a particular school for 3 AP. ​1 AP, class level 1: Eldritch Aura: Stance: While this is active, your Eldritch Blast changes into an aura. It deals the same damage as your Eldritch Blast to all foes in range every 5 seconds, and scales with 150% Spell Power. You cannot fire Eldritch Blasts while in this stance, but may attack normally with weapons and cast spells. 10 AP, class level 6: Shape Vestments: While wearing Light Armor, you gain +10 Maximum HP and +5 MRR. While wearing Medium Armor you are proficient with, you gain +20 Maximum HP and +10 MRR. Passive: Your Eldritch Aura now affects enemies every 4 seconds. 20 AP, class level 12: Aura of Menace: Toggle: You project a 15 meter Aura of Menace, decreasing the saving throws, attack, and armor class of nearby enemies by 2. Passive: Your Eldritch Aura now affects enemies every 3 seconds. Passive: You gain proficiency with all Martial weapons. 30 AP, class level 18: Celestial Spirit: Toggle: When enabled, you float above the ground, gain Feather Falling, and are immune to knockdown effects. When enabled, your Eldritch Blasts gain 3d6 Light damage. Your Eldritch Aura now affects enemies every 2 seconds. Ultimate Enlightenment: +2 Constitution and Charisma. While your Celestial Spirit is enabled, you gain +20% Competence Bonus to maximum hit points, full Base Attack Bonus, +10 Melee Power, Ranged Power, and Universal Spell Power, and +20 Light Spell Power. Spiritual Defense: While your Eldritch Aura is active, you and nearby allies get a +1/2/3 bonus to AC. You personally receive 5/10/15 Maximum Hit Points. Brutality: Multiselector: Brute Fighting (attacks)/Brutal Spellcasting (spells) Toggle: Your damaging (attacks/spells) generate [25/50/75]% more hate than they normally would, making enemies more likely to attack you. ​Resist Energy SLA: Resist Energy. As an SLA. Spiritual Bastion: While your Eldritch Aura is active, you get +3/6/10 PRR, and nearby allies get +1/2/3 PRR. Power of Enlightenment: +5/10/15 Light Spell Power and 2/4/6 Universal Spell Power. Shield: You permanently gain the effects of the Shield spell. ​Eldritch Burst: Fire your Eldritch Blast in an AOE centered on you. All enemies caught in the burst take 3d6 Light Damage that scales with Spell Power, plus any other effects and damage your Eldritch Blasts produce. This ability shares a cooldown with Cleave. The damage scales with 150% Spell Power. (Cooldown: 8/6/5 Seconds). Spiritual Ward: While your Eldritch Aura is active, you get +3/6/10 MRR, and nearby allies get +1/2/3 MRR. Fortify Summons: Your summoned creatures, hirelings, and pets get +25/50/100% fortification, 5/10/20 PRR, and 5/10/20 MRR. ​Medium Armor Proficiency: Passive: You gain proficiency in Medium Armor, and the ability to cast arcane spells in medium armor without arcane spell failure. Spiritual Retribution: Your Eldritch Blasts, Melee Attacks, and Ranged Attacks gain 1d6/2d6/3d6 Light damage that scales with Spell Power. Brilliance: Your Aura provides you and nearby allies with a Determination bonus to Temporary Hit Points equal to your Constitution Score. If you are level 20 or higher, this effect is doubled. These temporary hit points stack with all sources other than Brilliance itself. ​Spirit Blast: Fire your Eldritch Blast in an AOE centered on you. All enemies caught in the burst take 10d6 Light Damage that scales with spell power, plus any other effects and damage your Eldritch Blasts produce. This ability shares a cooldown with Great Cleave. Damage scales with 150% Spell Power. (Cooldown: 8/6/5 Seconds). Beacon: While your Eldritch Aura is active, all allies within your Aura gain +10 Healing Amp. You personally receive an additional +10 Healing Amp. Displace Summons: Your summoned creatures/hirelings/pets gain a permanent 25% Concealment, as per the item effect "Lesser Displacement", and 10% Dodge. Displacement SLA: Displacement, as an SLA. The Divine Crusader's No Regret ability has been adjusted slightly to improve game performance. Skill Focus: Spellcraft has been added. All classes now receive the Dismiss Charm feat at level 1. Warlock Fiendish feats cannot be activated if you are Good. Great Old One feats cannot be activated if you are Lawful. Eldritch Blast: Focused scales with 150% Spell Power. Glamered Weapon Auras should no longer disappear when changing zones. Elf has been lowered from 55 to 40. Halfling has been lowered from 40 to 20. Mephit has been lowered from 50 to 45. Skeleton has been lowered from 100 to 75. Troglodyte has been lowered from 68 to 60. Warforged has been lowered from 60 to 45. Wraith has been lowered from 30 to 25. Zombie has been lowered from 68 to 52. Free-to-Play players can now enter the Amrath public area in Shavarath. Antonio Craftian no longer has a string table error in his dialog. Fixed an issue in Free Delera where the 3rd Soul Lock Guardian could sometimes end up behind a doorway and refuse to come out. The chance to get rare encounters in the Temple of Elemental Evil Part One has been increased. The XP of almost all Optional Objectives has been increased. In most cases, the XP has been doubled. Non-Mythic versions of the named items now drop. Like their Mythic counterparts, they are found in both End Chests and random encounters, but are more often found in random encounter chests. The drop rate of Mythic named items appearing in random encounter chests has been increased. Wands of Wonder now drop less frequently. Effects granted by the altars are removed when leaving the quest.